I see a more polite future for you! "Why are the women in Downton Abbey wearing gloves when they are drinking????" That was a query I received via email the other day. It was from a friend, former trainee and current etiquette instructor, Bernadette Petrotta of the Polite Society School of Etiquette. This was an etiquette faux pas I had noticed several times, but ignored, as they work so hard on all of the little details on that show to keep it historically accurate. Add to that the fact that some more, shall we say "creatively thinking" etiquette consultants, are advising that wearing gloves is just fine and dandy while drinking, and some women are terribly confused. 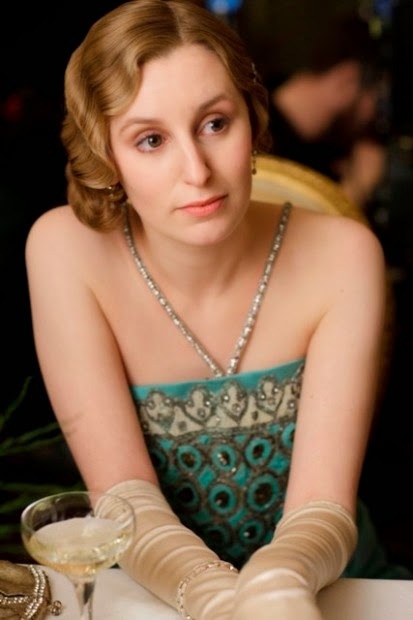 Alarm bells rang in my head when I saw Lady Edith sitting at the table with gloved hands and a glass of champagne beside her, but I shut them all down, in order to hear the scintillating dialogue. My response? "The gloves on Downton? I'll let Miss Manners answer that one... She does it so well!" GENTLE READER: The only place where it seems to be traditional for ladies to eat or drink with gloved hands is in costume dramas. In real life, it was always considered crude, not to mention yucky, but in every period film, television show, play and opera, it is evidently intended to add a touch of what passes for “class.” Miss Manners pities the laborers who were taxed with cleaning those gloves afterward.You are correct that gloves are worn during dancing, but they had to be removed before touching any refreshments. This was a good argument against drinking when dancing. It would serve Miss Manners right if, after obeying her strict command to remove your gloves, you handed them to her. You might reasonably point out that ball dresses unaccountably lack pockets, and are cunningly constructed so that gloves placed on them when the wearer is seated slip off the lap, thus requiring the wearer’s unfortunate dinner partner to crawl under the table to fetch them. If you cannot cram your gloves into your tiny evening bag, where we hope there is no makeup on the loose, you must hold them with your free hand when eating or drinking while you are standing. 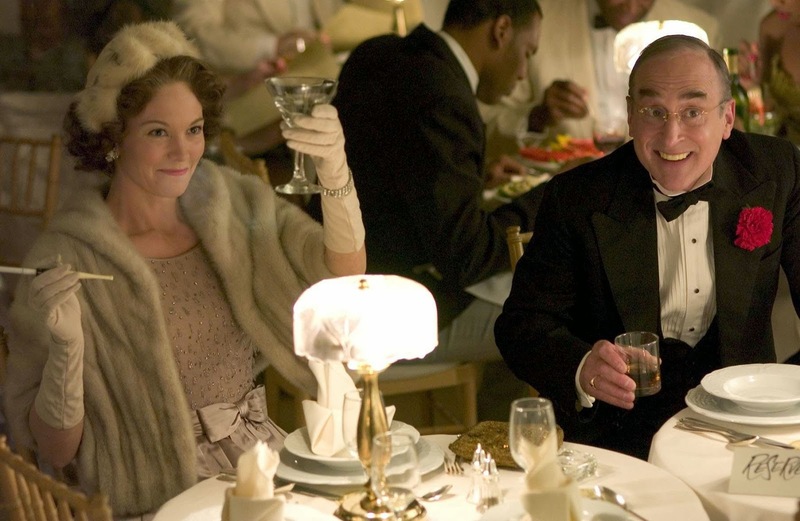 At dinner, she suggests surreptitiously sitting on them, but please don’t tell anyone she said so.You are correct that gloves are worn during dancing, but they had to be removed before touching any refreshments. This was a good argument against drinking when dancing. If you cannot cram your gloves into your tiny evening bag, where we hope there is no makeup on the loose, you must hold them with your free hand when eating or drinking while you are standing. At dinner, she suggests surreptitiously sitting on them, but please don’t tell anyone she said so. Don’t eat, drink, or smoke with gloves on. Don’t play cards with gloves on. Don’t apply makeup with gloves on. Don’t wear jewelry over gloves, with the exception of bracelets. Don’t make a habit of carrying your gloves. More photos follow of gloved ones drinking in period films and attempts at period photos, all in that attempt to add what "passes for class." It's too, too much! Two faux pas for the price of one. Both a cigarette and a drink in gloved hands. Both etiquette no-nos. Tea, sympathy and Lady Mary... This small cup makes me immediately think "demitasse," however it also makes me think, "Wow! That Lady Mary has large hands!" More "gloved ones" from Downton Abbey. I have no idea who this is, as someone sent it to me. She looks like she'd be a blast to hang out for an afternoon with, as she has an infectious smile! But once again, here we have two faux pas all in one photo; Gloved hand with the tea cup and the affectation of the "pinky" finger pointing up. Now this was also emailed to me. The caption from my friend reads, "I'm speechless." I cropped this photo as it had a brand name and the photographer's name on it as well. It is truly lovely... The women look beautiful, the flowers, the foods... and must have been difficult for a professional photographer to light. I appreciate the effort that went in to this photo shoot, but it is terribly incorrect with the gloves on while drinking tea. Thankfully, they don't have their pinkies extended! Another beautiful woman, but this photo shouts, "Tacky!" The "Ladies" of Downton Abbey, correctly wearing their gloves. They are not smoking, drinking, playing cards, or eating. They simply stand and look lovely. Back then, it was the only choice of occupation for many moneyed women. Great Post, I wish the people who do these period programs would remember that accuracy is important, not just with clothes, but in every little nuance. Yes, it may look all very pretty but it is odd how they often let little details like that slide. I know they have historical and etiquette advisors on set but I do wonder whether they often just forego the advice in favour of aesthetics. 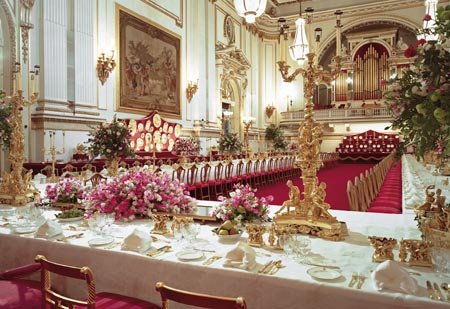 I read an interview with the Countess of Carnarvon of Highclere Castle once where she said the dining table was never set correctly when they were filming and that her family would never set it like that. She said she kept telling them how wrong it all was but they wouldn't listen. Hello Rachel- That's why I really was sorry to have to write this post to begin with, as they do get so much correct (see my 2011 post The British Press vs Downton Abbey and Two Etiquette Sleuths; Historians or Hysterians? 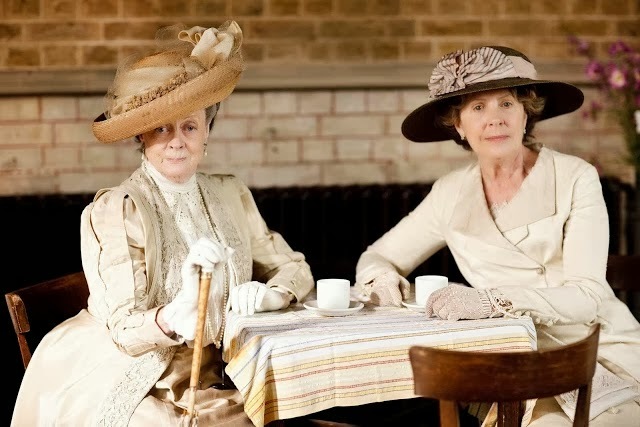 http://theetiquettesleuth.blogspot.com/2011/12/british-press-vs-downton-abbey-and-two.html)! There was an awful lot of bashing by the press early on in the show that was unwarranted. The Queen had her gloves on when having iea. Google it. So, you are wrong. Yes! I've seen several photos of Queen Elizabeth II raising a glass in toast whilst wearing gloves. I easily located at least 20 pictures of Queen Elizabeth, the Queen Mum, Queen Mary, and women in Mary Casell paintings, wearing gloves while drinking tea and wine--indoors and out, state occasions and at public teas. Well, I guess they're all "tacky"! If only Rachel had been there to set Their Royal Majesties right. I am an Etiquette Consultant, Writer on Etiquette, Bridal and Food, Teacher of Manners, Table Silver and Utensil Enthusiast and I am an Etiquette Sleuth. I am continually seeking out worldwide etiquette and its history.